Household bills are rising more slowly than the rate of inflation, new research has found. The figures suggested that key elements of the “cost of living squeeze” may be less severe than previously thought. Research by MoneySavingExpert, based on official data, revealed the rise in the total cost of household bills was less than the inflation rate. Although the numbers show only a small increase across household running costs as a whole, they also revealed large price hikes for electricity and insurance in particular. The cost of insurance rose by 7.6% over the year, including a 12% jump in car insurance premiums. Energy bills went up 5.1%, including a 9% increase for electricity. The data was compiled before British Gas announced a 12.5% price hike on 1 August. Redmile Energy completed installation of a solar PV system for Copthill School in Feb 2015, and in the past year they have generated 20% more power than was predicted, despite the gloomy weather conditions over the last winter. Find out how your school, business or home could benefit from a solar PV installation by Redmile Energy – contact us to find out more. Essex County Council has warned homeowners to be wary of aggressive solar panel salesmen who trick their way into people’s homes and then try to bully them into buying unnecessary products and upgrades such as battery storage systems or replacement inverters which have no significant benefits. The salesmen often claim falsely to be doing a health check on a solar panel system or to be working with the Micro Generation Certification Scheme (MCS), and that the ‘free’ health check is government funded – also false. 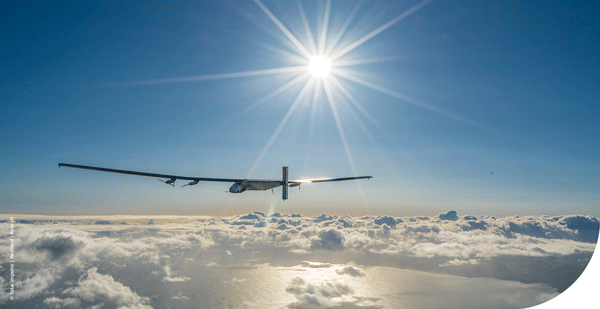 The first transatlantic solar and electric crossing with zero fuel and zero emissions! Solar Impulse 2, powered by 17,248 SunPower solar cells, has just flown from New York (USA) to Seville, Spain, crossing the Atlantic Ocean, the longest distance the team has had to fly this year. Read more about SunPower’s partnership with Solar Impulse. Another happy Redmile Energy customer reporting 5 year performance figures well above target thanks to high quality equipment and detailed design and installation of the system. It’s always good to get some feedback from our customers on how their system has been performing. We’ve just received a great update from someone who is getting the most out of their system by maximising the use of ‘spare’ energy that would otherwise get exported. Our customer said, ‘Happy Birthday to my 4kW domestic Redmile PV system – thanks to the quality components chosen (and the sunshine), the system delivered 11% greater output than predicted and an 11% ROI. It put 900kWh into the hot water tank and an estimated 1300kWh into the electric car taking it around 5000 miles powered completely by the sun’. British business giants including Sainsbury’s and Dixons Carphone Warehouse have been handed tens of thousands of pounds of taxpayer cash to install energy-efficient light bulbs, as part of Government efforts to avert a looming power crunch. Strong winds and a sunny day on Saturday helped renewable energy in the UK set a new record, official figures have shown. UK domestic solar installs are a better investment than ever before, according to new research carried out by Green Business Watch. Due to significantly decreased manufacturing costs across the industry the ‘return on investment’ for a domestic PV system is currently at an all time high. DECC Secretary of State for Energy and Climate Change, Ed Davey, has said that he is ‘absolutely convinced’ the falling costs of solar will make it the cheapest form of energy available in the coming years. During the minister’s visit last week to the East Sussex offices of China head-quartered panel supplier ReneSola, he praised the recent work of the UK solar industry and asserted that there is a strong case for investing in renewable energy. A cold and windless day could result in households’ lights being dimmed this winter, despite new emergency measures to prevent blackouts, experts have warned. Britain’s spare capacity – the safety buffer between electricity supplies and peak demand – has fallen to just 4 per cent, the lowest level in seven years, following a series of power plant fires and closures, analysis from National Grid revealed. The International Energy Agency has forecast that solar power will displace fossil fuels to become world’s biggest source of electricity by 2050. This will equate to 27% of the world’s power. Fact – If every household in the UK were to swap one old light bulb for a modern energy efficient light bulb, the saving on the national grid would equate to the output of one nuclear power station. The ‘Renewable Heat Incentive’, or RHI, previously only available to the commercial sector has now been launched for domestic customers including home owners, landlords, new build projects and is also available to households both on and off the gas grid. The payments have been confirmed at 19.2p per kwh and are payable quarterly over 7 years. Householders could get paid hundreds of pounds a year for heat generated by solar thermal panels, biomass boilers and heat pumps, Energy and Climate Change Minister Greg Barker confirmed today. The tariff levels have been set at 7.3p/kWh for air source heat pumps; 12.2p/kWh for biomass boilers; 18.8p/kWh for ground source heat pumps and at least 19.2 p/kWh for solar thermal. The scheme will be made available to owners of domestic heating systems and people who build their own homes. Anyone who has installed a renewable heat technology since 15 July 2009 and meets the scheme eligibility criteria will be able to join the scheme. The Department for Energy & Climate Change (DECC) is currently finalising the details of the expansion of the non-domestic RHI scheme and will confirm the way forward in the autumn alongside the outcome of the tariff review. DECC’s aim to introduce these changes from Spring 2014 remains unchanged. The Supreme Court has rejected the UK government’s Feed-in Tariffs solar appeal. Those people who installed between 12 December 2011 and 2 March 2012 were unsure about what tariff they would actually get as this depended on the outcome of the appeals process. This is now complete. As such, we can now confirm that those who applied to receive Feed-in Tariffs between the above dates will receive the 43.3p/kWh rate. Please see the Energy Saving Trust Website for more information on the Feed In Tariff changes. The Department of Energy and Climate Change (DECC) have now confirmed the standard FIT tariff for new retrofitted PV systems of less than 4Kwp in size, will be 21p per kwh. This tariff will apply to all installations between 01 April and 01 July 2012 after which there is expected to be a significant reduction, possibly as low as 13p. The 21p tariff should generate significant demand in the months up to July as many domestic customers will still be able to achieve tax free returns of 10% or greater based on current market conditions. From 01 April all domestic properties will require an Energy Performance Certificate (EPC) of level D, or better, to be eligible for the full 21p tariff and Redmile Energy can advise and arrange this for their customers, but any customers wishing to avoid this process should install before the end of March 2012. Energy and Climate Change Secretary Chris Huhne has today set out how the government will respond to the imminent court decision on when proposed cuts to feed-in tariff incentives can come into effect. Following calls from the industry for the government to clarify the level of incentive available for current installations, Huhne this afternoon tabled aWritten Ministerial Statement in parliament detailing the government’s plans. The government will this afternoon confirm its contingency plan should it lose its high-profile court battle to uphold proposed cuts to incentives for solar installations completed after December 12 last year. According to industry reports, the statement is expected to confirm that if the government loses its appeal against the court ruling that branded its proposed cuts to incentives as unlawful, it will cut feed-in tariffs for installations with under 4kW of capacity to 21p per kWh within 40 days, setting a new cut-off date of March 3. Redmile Energy continue to offer Solar PV systems with up to 10% return on the proposed ‘new’ tariff. Contact us today. UK Government has proposed fast track changes to Solar PV feed-in-tariffs as part of a consultation review process. Follow the below link for more details. During the frantic bidding by the Dragons to invest in a Solar PV company on the show aired on BBC2 on the 2nd August, Deborah Meaden said, ‘It is actually quite simple, if you’ve got any money sitting in a bank earning tuppence, take it out of the bank, put 16 panels on your roof and you will earn 10% tax free’. A strong endorsement indeed and actually earnings can be as high as 15%. British Gas, the largest supplier of gas and electricity in the UK, will announce price rises some time before the results of its parent company, Centrica, are published on 28 July 2011. Scottish & Southern Energy (SSE) has become the second big energy supplier to hint that gas and electricity prices may go up steeply this year. New increased FITs rates came into force today as the scheme has stood by its commitment to index link all payments to the RPI. Retrofit domestic rates have increased from 41.3p to 43.3p for all existing customers and for new PV customers up to April 2012.